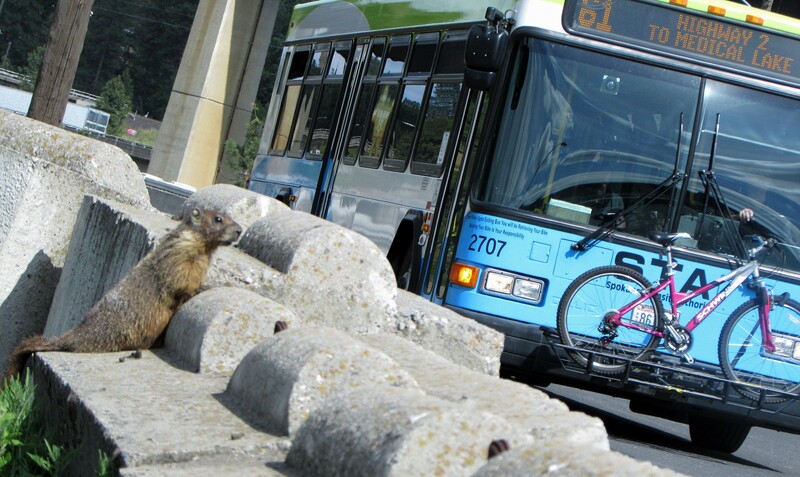 Transit-loving marmots can rest easy. When President Donald Trump's proposed budget came out in March, it threatened to be a death knell for the Central City Line,* the high-frequency electric bus route that Spokane County voters chose to fund last November. Trump's proposed budget would completely eliminate the Small Starts grants program that the Spokane Transit Authority was anticipating would provide $54 million to build the Central City Line. But STA CEO E. Susan Meyer suggested that people should remain calm, contact their legislators, and continue to assume that the project would be funded. "There is nothing to suggest to us we should do anything but stay the course," Meyer said. Yet the latest incarnation of the Congressional budget, due to be voted on tomorrow by the House of Representatives, is cause for celebration for the STA. It represents a move further away from the deep cuts outlined in Trump's Fiscal Year 2018 budget. It doesn't fund a border wall, punish 'sanctuary cities' or defund Planned Parenthood. And it puts more money into transit projects. "Not only does it reaffirm what we started right after the president released his 'skinny budget,' Congress has agreed to increase the amount in the Small Starts budget," STA spokesman Brandon Rapez-Betty says. "We didn’t think it was going to disappear in the first place, but now we can say we’re that much more confident." The amount of money budgeted for capital improvement grants from the Department of Transportation will go up, from $2.3 billion to $2.4 billion. Of the money in that pool, the amount in the Small Starts budget — specifically aimed at projects like the Central City Line — will rise from $241 million to $407.8 million. "The national organizations for transit are applauding this budget, because it does so much to fund programs that support public transit," Rapez-Betty says. To be clear, even if the budget passes, that doesn't mean that STA is in the clear. The Central City Line isn't anticipating being awarded federal funding until the budget for 2019. "But we think this sets a trend," Rapez-Betty says. "Not only are they not eliminating it, they’re increasing funding for it. That encourages us that we’re on the right track." * The Central City Line is not a trolley.